plant sale from 9 a.m. - 5 p.m.
livestock showing from 10 a.m. - 2 p.m.
Ferrum College's annual livestock showing and plant sale event occurs this year on Saturday, April 13. 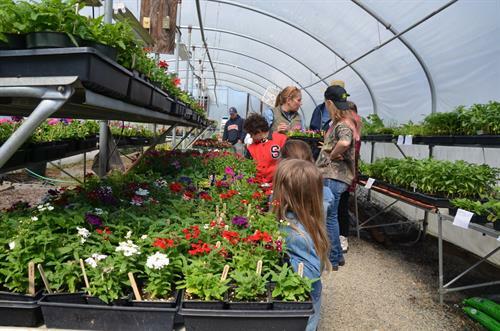 Spring plants will be for sale at the Titmus Agricultural Center, 370 Ferrum School Road, Ferrum, from 8 a.m. to 5 p.m. The showing of goats and lambs will also take place from 10 a.m. to 2 p.m. Weaned livestock will be available for sale after the showing. This event is FREE and open to the public. The plants have been grown in the College’s own greenhouse by horticulture students and include annual plants and seed annuals, hanging baskets, vegetables, and herbs. Proceeds from this cash only sale support Ferrum College’s horticulture program.